We have been built upon the best brands in the business for over 10 years. 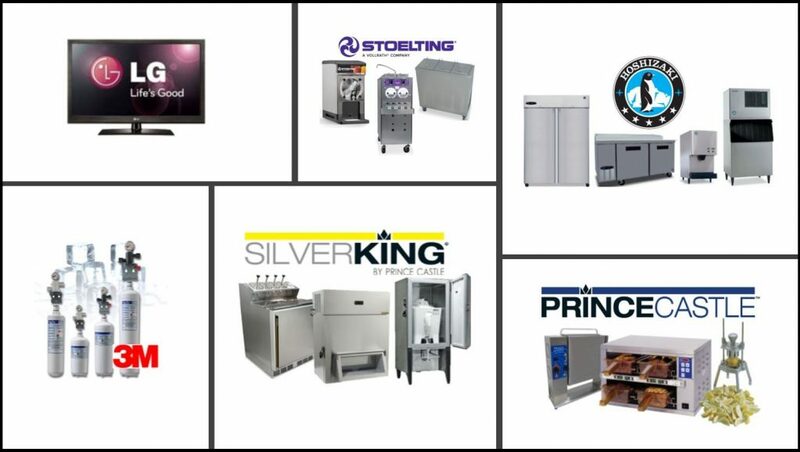 HKE’s uniquely situated to handle many of your restaurant equipment needs. We have national agreements with the industries leading suppliers for frozen beverage and soft serve ice cream units, ice makers, refrigerators and freezers, preparation tables, televisions, kitchen small wares, water filtration systems and more. With our large warehouse and inventory we can ensure that you get the exact solution for your situation. Take a look at the following equipment categories and feel free to give us a call with any questions.